Are you saddled with more credit card debt than you know what to do with? Are you concerned that you’ll never be able to make any progress in eliminating the debt? 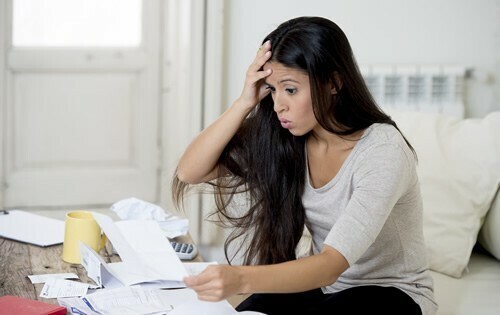 Although you may be in bad situation, there are steps you can take to pay off your credit card debt in a timely and efficient manner. Devise a strategy. It’s important to have a plan from the start, as this will guide you as the days and weeks turn to months. How many credit cards do you have? What’s the total amount of debt? What steps can you take to avoid adding to your debt load in the future? Make progress by tackling the smallest balance first. It may be a small victory, but entirely eliminating debt associated with one credit card is sure to put a smile on your face. Once you get this balance out of the way, you can move onto the others. Know the interest rate associated with each credit card. The difficult thing about paying down credit card debt is that interest charges can accumulate while you’re trying to make progress. This has a way of slowing you down. For this reason, you may want to ramp up your efforts by paying as much as possible on the credit card with the highest interest rate. As your balance comes down so will the amount you pay in interest. Use a balance transfer credit card. Do you have more than one credit card with a balance? Are finance charges making it difficult to make progress? With a balance transfer credit card, you can move all your credit card debt under the same roof. Even better, you can access a zero percent introductory rate that typically lasts anywhere from 12 to 21 months. If you come to realize that you’re swimming in credit card debt it can be a challenge to take the first step. With these four tips, you should have a clear idea of where to start and how to make progress in the immediate future.